Meristems play a central role in the development of plants. Like stem cells in animals, meristems are a perpetual source of new cells. Meristems confer the capacity for indeterminate growth of the plant. Shoot meristems have two distinct functions, initiation of tissues and cell division. In the process of initiation, cells at the periphery of the meristem are recruited to form tissues and organs, which are displaced from the meristem, differentiate and mature. The second function, cell division, replaces the cells that are lost to the formation of tissues and organs. A small set of cells at the summit of the meristem, the apical initials, are considered to be the ultimate source of cells of the meristem. In most plants, shoot meristems eventually become determinate, losing the ability to add any more tissues or organs to that axis. Timing of determinacy, how early or late it occurs in each meristem (terminal and any branch meristems) during the development of the shoot, is an important determinant of the architecture of the plant. Research in my lab focuses on addressing these questions: How is determinacy in shoot meristems achieved? What regulates the timing of determinacy? How is determinacy of the meristem related to differentiation of the shoot? How is determinacy coordinated among cells of the meristem? To address these questions, we have been examining shoot meristems during both vegetative and reproductive growth in two model species, maize and tomato. Some of our projects are outlined below. We have developed techniques for growing isolated meristems in culture to study vegetative determinacy in maize. Using this technology, we have been able to investigate the interplay between the shoot meristem and the rest of the plant that results in determinacy. 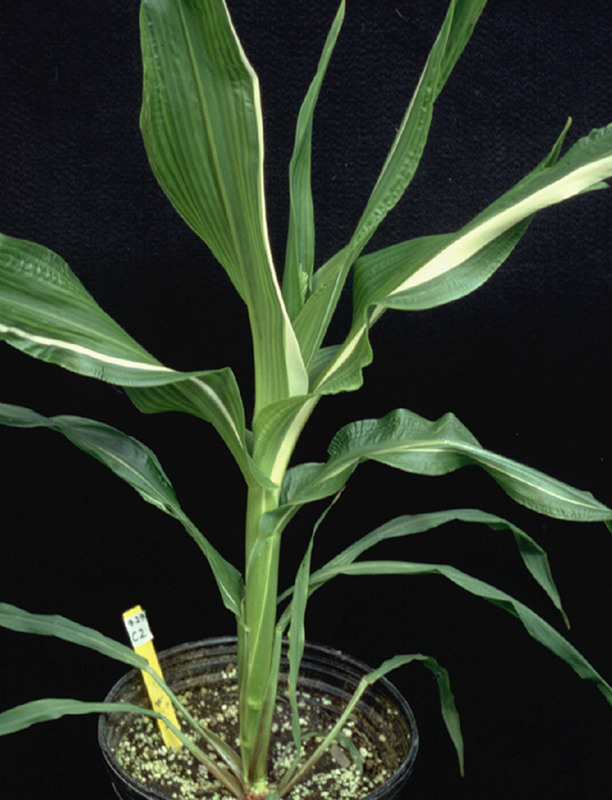 We have learned that the leaves signal the shoot meristem of maize plants to trigger terminate vegetative growth by commencing the transition to reproductive growth. We have also found that meristems can be 'rejuvenated' by undergoing culture: an old meristem can form juvenile organs, indicating that developmental phase (juvenile vs. adult) is determined not by age, but by the physiological state of the plant. We are currently using meristem culture to investigate the regulation of phase-specific gene expression. We have also employed this technology to gain a better understanding of the fates of cells in various locations in the meristem. We have evidence that the apical initials, which form the shoot meristem during embryogenesis, become quiescent after germination. They resume division only when the plant has become reproductive, contributing to the formation of the tassel and the flowers on it. The conclusion that the apical initials of maize, unlike many plants, serve as an ersatz germline, has evolutionary implications. This page was last updated on Friday, April 13, 2018 - 2:57pm. Please contact us at biology@uiowa.edu or 319-335-1050 if you need further information.